Dal Cielo has returned to winning form at the Gold Coast as a pick-up ride for in-form Ryan Maloney. 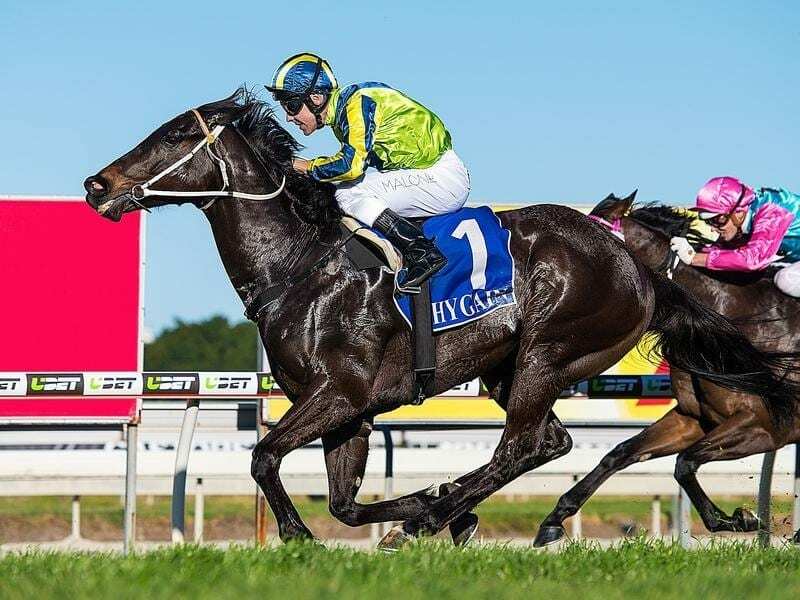 Former Victorian jockey Ryan Maloney continued to live up to his promise to make the most of a move to Queensland with a double at the Gold Coast. Maloney resumed from a suspension on August 1 and since has ridden eight winners in the state. His double came in fortunate circumstances after Dal Cielo was to be ridden by Newcastle jockey Aaron Bullock. Bullock couldn’t take mount because he was sick. Heavily backed into $1.75 favourite Dal Cielo led all the way to beat the unlucky Sold For Song ($9.50) by a length in the Matthew Dunn Racing Handicap. Newcastle Trainer Kris Lees had also entered Dal Cielo for the Show County Quality at Randwick. Stable representative Mel Eggleston said Lees had thought seriously about keeping Dal Cielo in Sydney. “But in the end this race looked more suitable and Dal Cielo probably needed to win,” Eggleston said. “That was his first win since February last year so it is good to get him back winning. Maloney said Dal Cielo had led easily but showed a lot of heart when challenged in the straight. Sold For Song looked unlucky as she had to alter course in the straight but pleased trainer Kevin Kemp. “It is just good to see her back racing well after a few problems,” Kemp said. Toowoomba trainer Tony Sears was quick to thank his daughter Maddysen after Don’t Tell Mama ($14) returned to form to win the Quantum Trading Handicap. Don’t Tell Mama had not run a place at her three most recent runs but Sears wasn’t worried going into the race. “Basically she can’t handle Doomben because usually you can’t run on there,” he said. “But I would like to thank Maddysen because she put Don’t Tell Mama over some hurdles during the week,” Sears said.